When it comes to online marketing, one of the more intimidating disciplines is undoubtedly SEO. Whether it’s due to the high price-tags or the heavy use of technical jargon, many small and mid-size business owners decide to just ignore it altogether. Who can blame them? Of course, it doesn’t have to be so convoluted and confusing. And it certainly doesn’t have to be so tough to get your feet wet. Believe it or not, the most impact will usually be seen as a result of the most fundamental strategies. Unless you’re in a highly competitive niche, a skill set that includes the bare-essentials will likely serve you well and help you earn reliably higher rankings. But first, you may still be wondering why this even matters in the first place. So, let’s cover that before we go any further. Why Do Small Businesses Need to Invest in SEO? To the average small business owner, beyond having a Google My Business profile, the necessity for SEO may not be immediately apparent. Make no mistake though, it can be a transformative marketing channel for many. The reason is actually surprisingly simple: the vast majority of consumers turn to search engines when they’re seeking products and services. What’s more, is that according to a Moz study (and frankly, plenty of others as well), over 50% of clicks go to the top 3 results! So it stands to reason, that if you want to get a searcher’s attention, you’ll need to rank prominently. That in turn, means you’ll need to either purchase or perform SEO. One of the other perks of organic traffic that’s worth mentioning, is that visitors are generally going to be far more qualified than those arriving from display channels. So, we’ve established that SEO is a great way to increase the inbound flow of pre-qualified leads to business websites both large and small. Next, let’s look at how to go about search engine optimization. What Can You Do to Influence Your Rankings? If you’re looking to get your feet wet with some of the highest-impact SEO strategies, you’ve come to the right place. 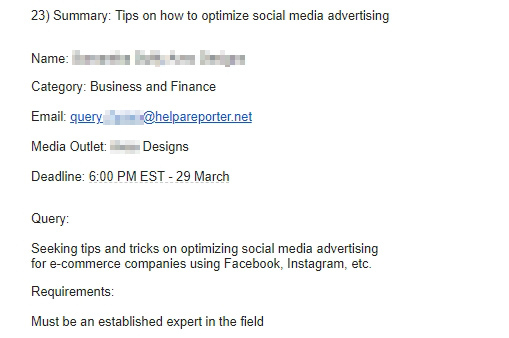 There are literally hundreds of methods, tactics, tips and tricks to cover. 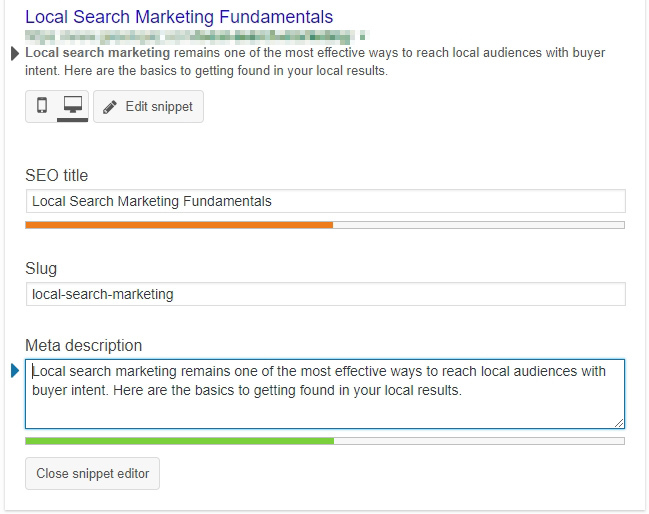 But today, we’ll cover the basics, which incidentally will often show the biggest improvements in search rankings. Your SEO efforts will succeed or fail based largely upon the quality of your keyword research. Google has gotten quite good at understanding semantics and complex word relationships. Despite this fact, the truth remains that you’ll want to focus your copywriting and technical efforts on a handful of specific keywords. That means, you’ll need to use some tools to get familiar with what to target. If you’re just getting started, I’d recommend using free tools like Google Keyword Planner and Ubersuggest. These, when combined, will be sufficient for most novices. If you’re looking for something more comprehensive, SEMRush, Moz, and Ahrefs are all incredibly powerful and versatile tools. As you might imagine, as keywords get more and more volume, they become more competitive. The more competition there is, the harder it will be for you to rank prominently, and the more time, energy and/or money you’ll need to invest to get there. So take your time here. Ideally, you’ll be able to find a few targeted search terms that aren’t particularly competitive, but have strong search volume. Put simply, on-page SEO refers to the process of optimizing a page or post on your website for one (or a few similar) keyword/s. For starters, be sure to include you keyword in your page title, h1 tag, body paragraphs, and image titles and alt-tags. This is just the tip of the iceberg, but it’s a great starting point. If you’re on WordPress, I’d highly recommend you use the Yoast plugin to help inform your efforts. It’s a freemium tool that will “grade” how optimized your content is for your chosen keyword. It’ll also point out where it’s missing, and how the page can be improved. If you want to go deeper, we wrote a handy on-page SEO checklist that you might want to bookmark. Link-building has earned an unfortunate reputation over the past decade, and for good reason. Links have been the singly most influential “ranking factor” since as long as we can remember. Despite tons of improvements and modifications to Google’s algorithm throughout the years, this basic truth remains. What’s changed however, is how businesses should best go about improving their backlink portfolio. In days of yore, SEO’s used private blog networks, link farms, and other hacks to generate ranking increases quickly and cheaply. But Google cracked down on this as soon as they could. After all, it certainly doesn’t help provide a better user-experience for searchers to have this kind of behavior running rampant. Nowadays, it’s more appropriate to look at this SEO strategy as “link earning.” Take quality over quantity, only seek relevant links, and don’t try to cheat your way to the top. Instead, devote time and energy to this initiative. Contribute to meaningful and relevant publications, leverage PR tools like HARO to connect with journalists, and generate content that people want to share and link to! As you might have guessed, this is one of the more complex and time-consuming SEO strategies you’ll need to employ to earn higher rankings. But it’s worth it. In fact, without it, it’s likely that your other efforts will largely be in vain. Here’s a complete link-building guide courtesy the talented folks at Moz. Plenty! If you truly want to commit to SEO, you’ve got your work cut out for you. The following are some additional strategies you’ll probably want to employ in the coming quarters. Like we said earlier, this is just the tip of the iceberg folks. But hopefully, this starter guide has at least got your gears turning. My goal today was simply to show you first-hand why SEO is such a powerful tool for building online businesses, and to help you understand the basics. If you have questions, comments, or want to share your own tips and tricks, we’d love to hear from you in the comments below!